Launched in May 2016, the Leadership Group for Responsible Recruitment is a collaboration between leading companies and expert organisations to drive positive change in the way that migrant workers are recruited. Developed as an initiative of the Institute for Human Rights and Business, the Leadership Group operates as a company-led collective advocacy platform harnessing the leverage of major international brands to promote responsible recruitment practices amongst business, the recruitment industry, and government. All members of the Leadership Group are publicly committed to the Employer Pays Principle and its implementation throughout their supply chains. Together, our mission is bold - the total eradication of recruitment fees being charged to workers anywhere by 2026. 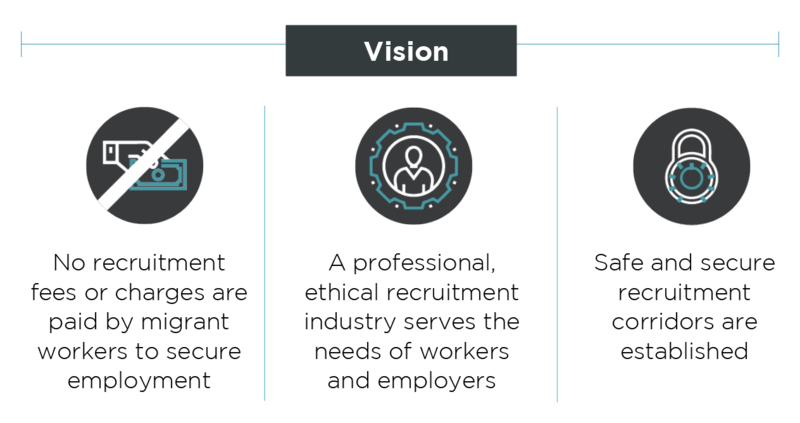 The Leadership Group for Responsible Recruitment aims to drive positive change in the international recruitment industry and a global prohibition of recruitment fees being paid by workers. Read our Theory of Change and Strategic Plan 2019-2020. Reflecting the Dhaka Principles for Migration with Dignity, the Employer Pays Principle is a commitment to ensure that no worker should pay for a job and is increasingly being adopted by companies across a range of industry sectors and locations. Adoption of the Employer Pays Principle across all industries is fundamental to combatting exploitation, forced labour, and trafficking of migrant workers in global supply chains and represents an important step in achieving the UN Sustainable Development Goal of decent work for all. 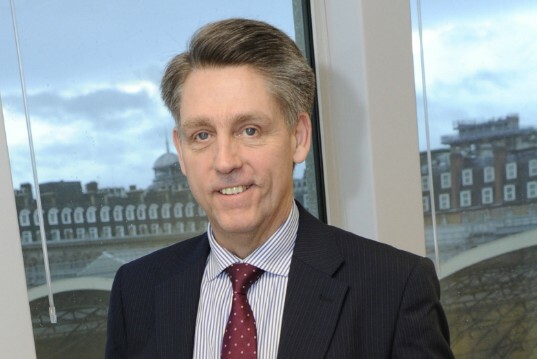 The Leadership Group is led by an independent Chair: Kevin Hyland OBE, former UK Independent Anti-Slavery Commissioner. For more details of the Leadership Group and how to become a member, please contact IHRB’s Head of Migrant Workers Programme Neill Wilkins. Business can play a pivotal role in combatting the exploitation of migrant workers, but only if we work collectively to achieve this goal. The Leadership Group for Responsible Recruitment will focus on encouraging broad implementation of the Employer Pays principle across industries. The Leadership Group for Responsible Recruitment has a bold aim - the eradication of worker fees over the coming decade. These leading companies are setting an important new business standard and a challenge to other companies to prohibit fee-charging in their operations. 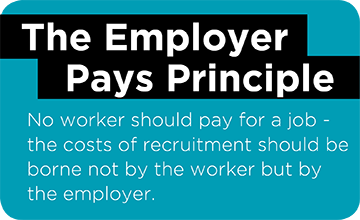 The right to freely choose employment is severely eroded when workers have to pay recruitment fees simply to get a job. The Employer Pays Principle has the potential to make a meaningful difference in the lives of millions of workers around the world, which is good for communities and good for business. Combating forced labor remains a key challenge throughout the world, and regardless of where it occurs in the global supply chain, Walmart is committed to working with industry groups, governments, NGOs and suppliers to help eliminate forced labor. Walmart is proud to become a core member of the Leadership Group for Responsible Recruitment, so we can work with others passionate about this important issue in order to create solutions. We believe we can achieve far more by working with others. The Employer Pays principle is a good example of this - by bringing our voices together, we have the opportunity to create momentum and awareness on an important issue which to date has not been well understood, working to promote a model of ethical recruitment and fairer treatment of migrant workers. Migrant workers are an integral part of global business yet the abusive use of migrant labour is prominent in many sectors. Businesses must come together and drive practices that empower rather than penalise the most vulnerable. At IKEA we believe that we have an important role to play in helping people to lift themselves out of poverty and to provide a better life for themselves and their children. By joining with others to call for the adoption of the Employer Pays Principle, and by taking action ourselves, we want to contribute to creating positive change, ensuring the ethical recruitment of migrant workers and a brighter future for millions of people globally. Workers in global supply chains deserve fair treatment. They should not have to pay to work. Collaboration among leading companies on this issue is critical to inspire and achieve the scale and momentum needed to advance the responsible recruitment of migrant workers globally. Stuart Pann, Chief Supply Chain Officer, HP Inc.